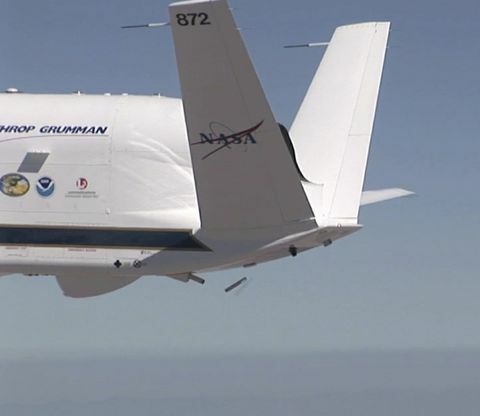 SAN DIEGO, March 22, 2011 -- A Northrop Grumman (NYSE:NOC)-produced Global Hawk high altitude unmanned aircraft began a series of flights over the Pacific Ocean on Feb. 11 as part of a campaign to study atmospheric rivers. Known as Winter Storms and Pacific Atmospheric Rivers (WISPAR), the research is being done by the National Oceanic and Atmospheric Administration (NOAA) to improve winter storm forecasts. The purpose of the WISPAR project is to collect data on how atmospheric rivers form and behave. Atmospheric rivers are narrow regions in the Earth's atmosphere that transport large amounts of water vapor. These atmospheric rivers could transport enough water vapor on any given day to lead to flooding in California, or contribute to a beneficial increase in the snowpack. NOAA and the NASA Dryden Flight Research Center (DFRC) have partnered to install payloads on a NASA Global Hawk for the WISPAR campaign. The high-altitude long endurance (HALE) Global Hawk provides the optimal platform for environmental science missions because it can carry various scientific payloads up to 65,000 feet altitude for 30 hours to remote locations over the ocean. "Using a Global Hawk for scientific studies is a great testament to the versatility of the platform," said Richard Laboda, the Northrop Grumman Aerospace Systems NASA Global Hawk program manager. "To date, we have been able to successfully integrate varying types of scientific instruments onto the Global Hawk to support numerous missions and look forward to various ways the HALE unmanned aircraft systems will be used in supporting future scientific studies. 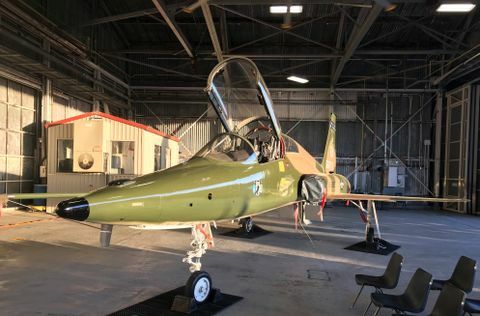 "Northrop Grumman contributes to the WISPAR campaign by providing maintenance and flight operations support as part our partnership with NASA," said Laboda. The NASA Global Hawk's first WISPAR mission was a 24-hour flight to study an atmospheric river developing over the Pacific Ocean, between Hawaii and Northern California. Aboard the Global Hawk for the WISPAR missions are atmospheric reconnaissance devices called dropsondes. Developed by NOAA, they measure temperature, pressure, moisture, wind and other atmospheric phenomena as they drop. Up to 89 dropsondes are released from the aft end of the Global Hawk. The measurements will document conditions along the complete extent of an atmospheric river and its evolution as it approaches landfall. Another sensor aboard the Global Hawk is the High Altitude Microwave Monolithic Integrated Circuit (MMIC) Sounding Radiometer (HAMSR), an atmospheric sounder based on MMIC technology designed and built at NASA's Jet Propulsion Laboratory. 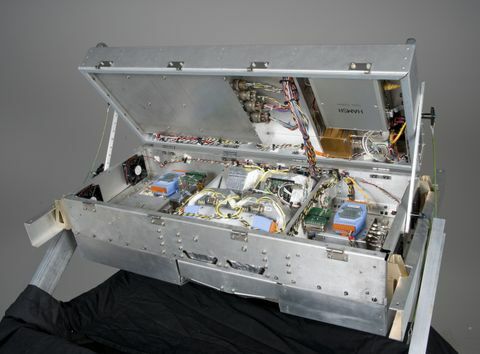 HAMSR is a passive microwave radiometer, which measures the thermal radiation emitted from the atmosphere and the surface below the aircraft. Â It measures microwaves in two air temperature-sounding bands and one water-vapor sounding band to provide calibrated temperatures. HAMSR products include vertical temperature profiles and water vapor and liquid water profiles from the ground to the 65,000 foot altitude of the aircraft. 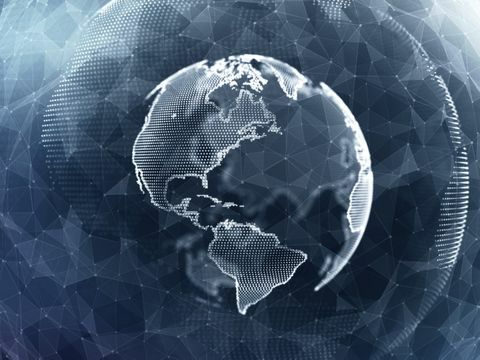 HAMSR provides observations similar to those obtained with microwave sounders currently operating on NASA, NOAA and European Space Agency spacecraft. NASA Global Hawk relays data from both sensors through satellites to scientists at the Global Hawk Operations Center at DFRC. The scientists are able to direct changes to Global Hawk's flight path to focus collection on the atmospheric rivers, based on the dropsonde and HAMSR readings.